From the makers of the Thigh-Master! 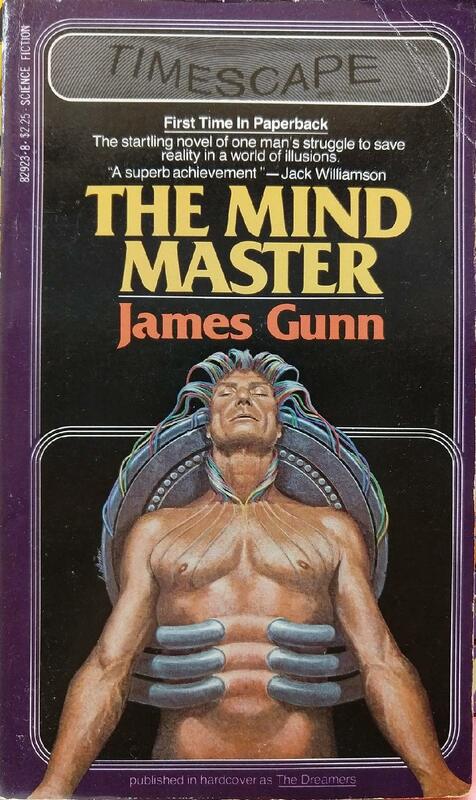 OK, the 1980s computer wiring coming out of his head makes sense if he’s in some sort of Matrix-type virtual reality, but those tubes going into his torso just seem to go in and out without connecting to anything. Does he need a cooling system? Neo was easier to unplug. Looks like he’ll have to Freddy Krueger the powers that be. I want this rig so I can eat whatever I want and just pump it to my backpack as it hits my stomach. That’s an extreme Medicine Shirt. I’m getting a Khan vibe from the sleeping guy. In the future, piercings just get ridiculous. Is that a really big disk drive on his back? Or perhaps it’s the 40 gallon version of the Beer Hat. It says “world of illusions” so I’m thinking it is a Matrix deal… but why THREE giant tubes going THROUGH his abdomen? Why are the wires also going through his skin to his pecs? Terrifying tale of the future, or current fetish bodymod? Spot on with the “Weird Pecs” tag. Weirder every time I look at them, which I will now stop doing. I think someone put a do-not-park-wheel-clamp on him, as a gag, while he’s asleep. One future day, Jeff Bezos is going to look exactly like this. @ARY: Nah, this dude’s pretty buff, which I don’t think Bezos is. This is maybe someone he’s shanghaied into testing out the new VR life-support before he plugs in. This guy’s getting minimum wage and no benefits to do it, of course — but his original job got outsourced to smiling humanoid exploding robots. Ker-blam.